Congratulations to Birko, Top Company Finalist! We continue to feel privileged to serve Birko, a Colorado-based company specializing in food safety chemistry and equipment. 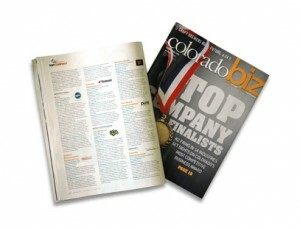 Now, Birko has been selected as a finalist in the manufacturing category for the prestigious Top Company Award sponsored by ColoradoBiz magazine. Winners will be announced at the 25th annual Top Company Awards celebration Sept. 12. We’ve enjoyed a particularly successful working relationship with Birko, helping them tell their story to the Colorado and national business communities as well as the trade press.